Following a long campaign of teasers and previews, Mercedes will lift the veil off its new EQC battery-electric SUV in its final production form. The new EQC will be based on a fresh platform, developed exclusively with electric vehicles in mind, and will be the first model to be launched under the EQ brand, which will become the EV division of Daimler. In terms of size, the new EQC will be slightly longer than the Mercedes GLC and also have a longer wheelbase, that’s closer to that of an E-Class. The battery pack, which is expected to have a capacity of around 70kWh, will be mounted on the floor and allow the EQC to travel “more than 310 miles” (that’s 500km in the old continent and other places) between full charges. 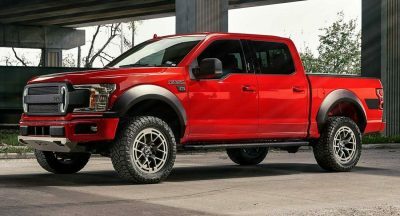 The powertrain will feature one electric motor per axle, with the rear mounted being the more powerful one and the front mounted one used for better efficiency. 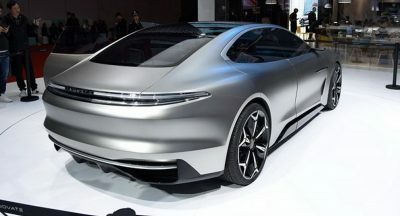 The combined output of the two is expected to be close to 400PS (394hp). 0-62mph (100km/h) will take around five seconds. The interior will feature Mercedes’ latest MBUX infotainment we first saw in the A-Class. 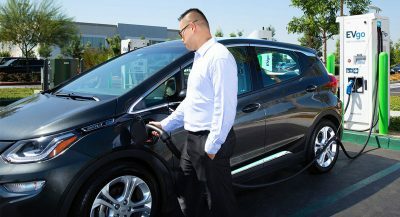 The system is expected to offer EV-specific functions, as well as all the latest connectivity options. Join us in the live reveal of the new Mercedes EQC at the video linked below. That design is simply underwhelming. Too much hype for this horrible design? It reminds me of the Lincoln MKT. What a let down. For the Video skip to 16:15 to see the reveal. The silence of the crowd and the courtesy clapping pretty much says it all.